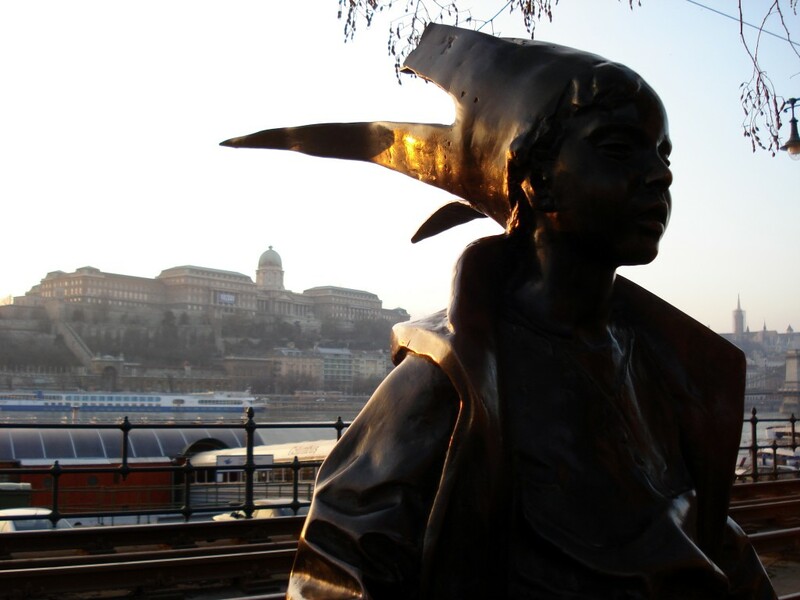 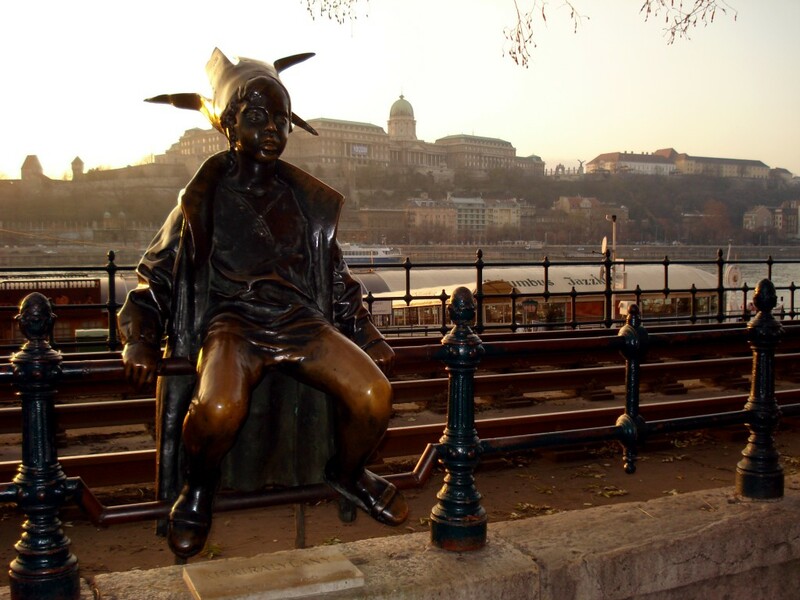 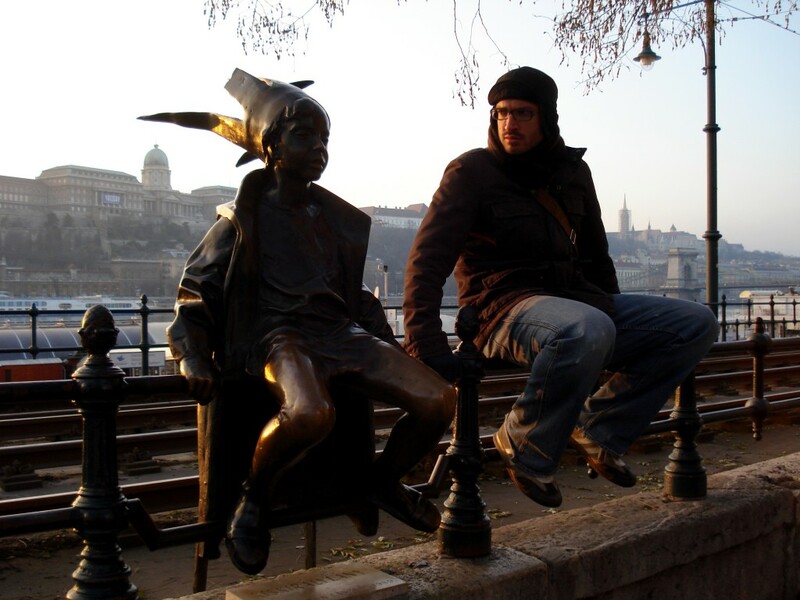 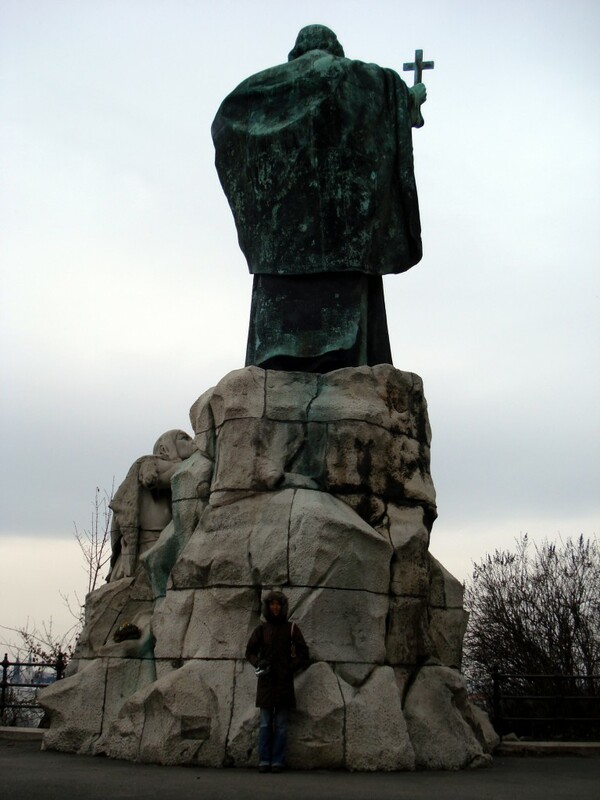 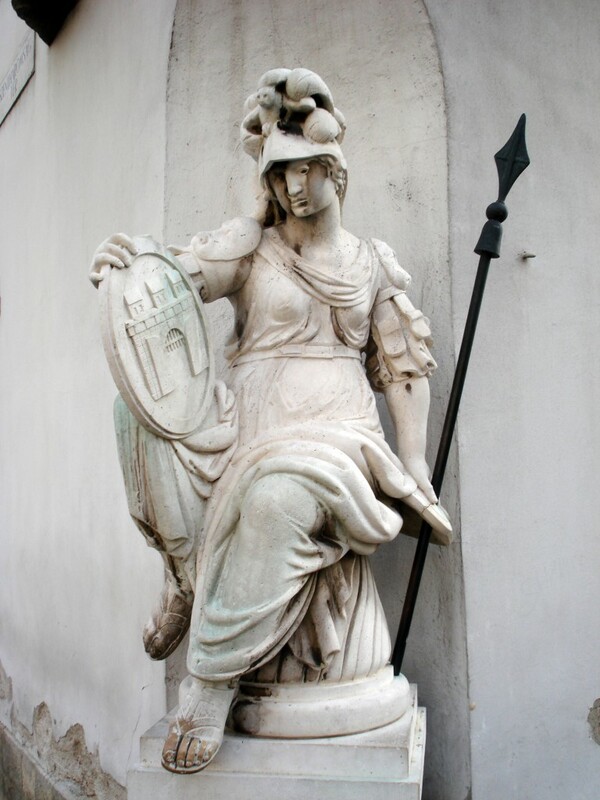 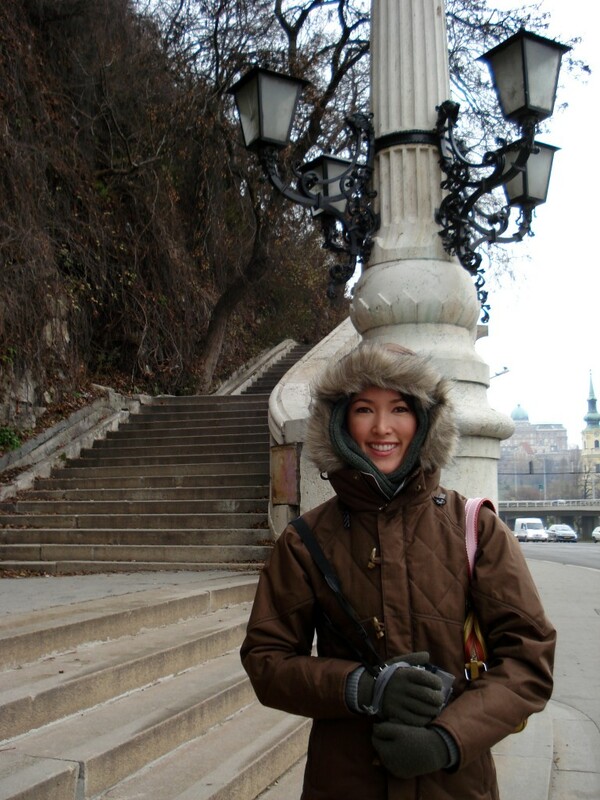 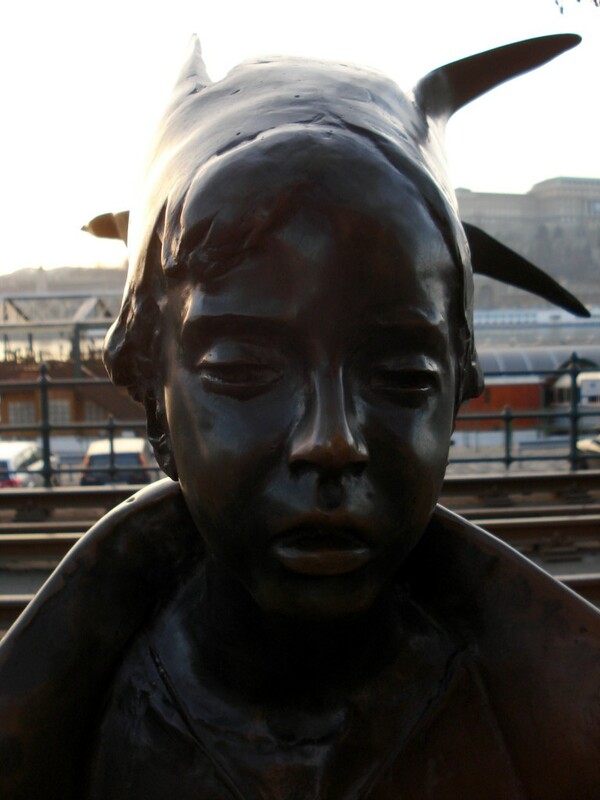 The Little Princess is one of Budapest’s best known and most popular bronze statues. 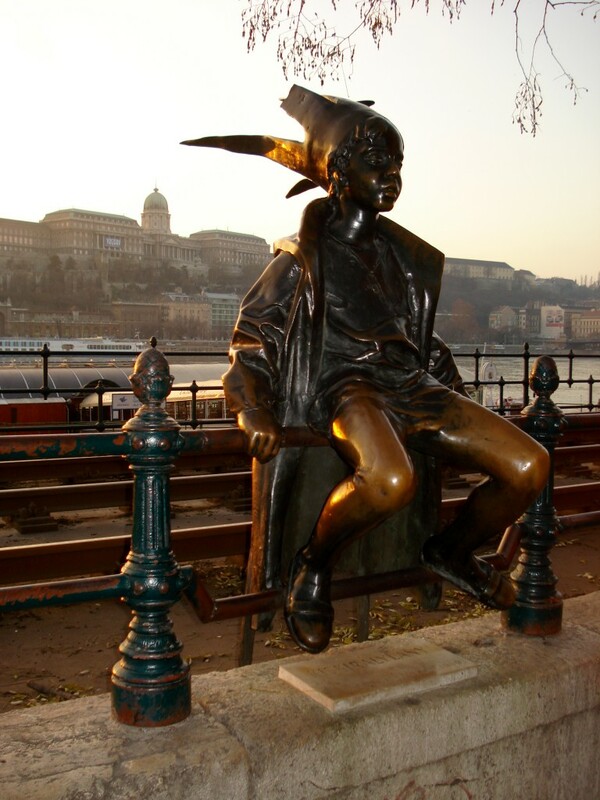 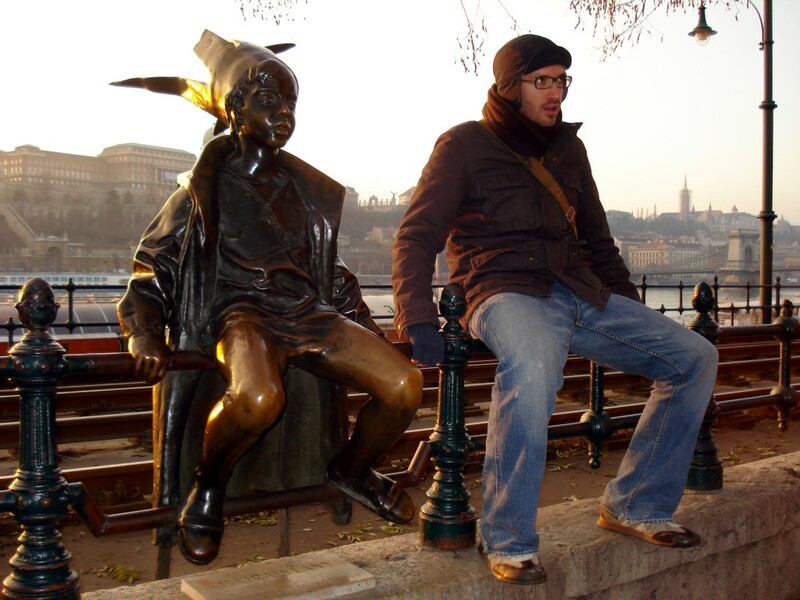 The statue is life size and looks like a child sitting on the fence along the Danube River bank. 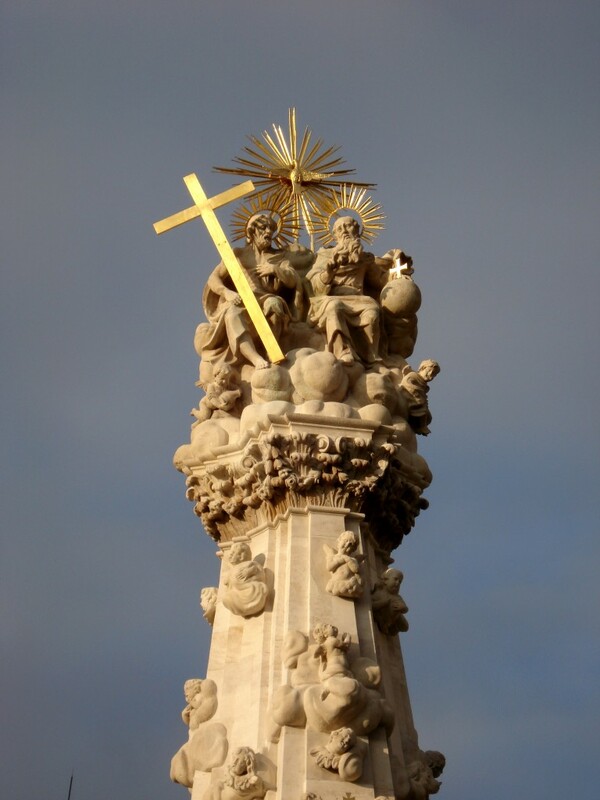 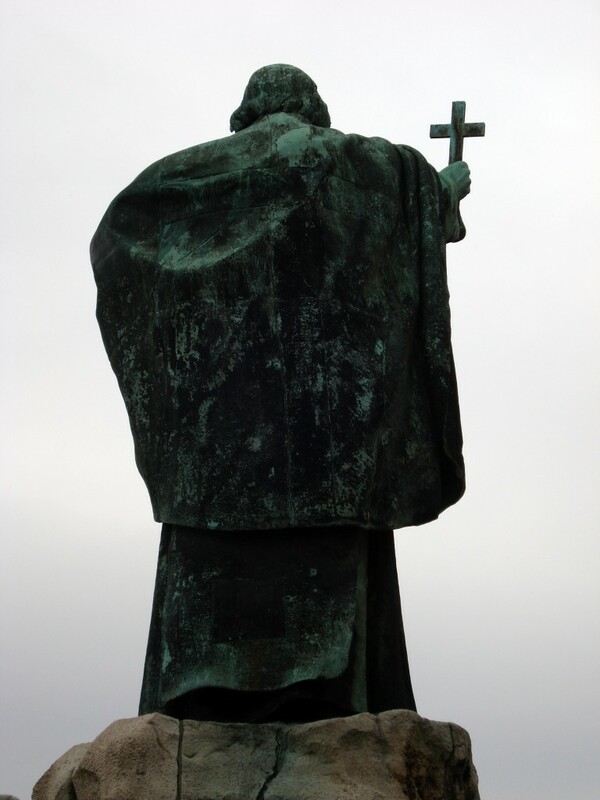 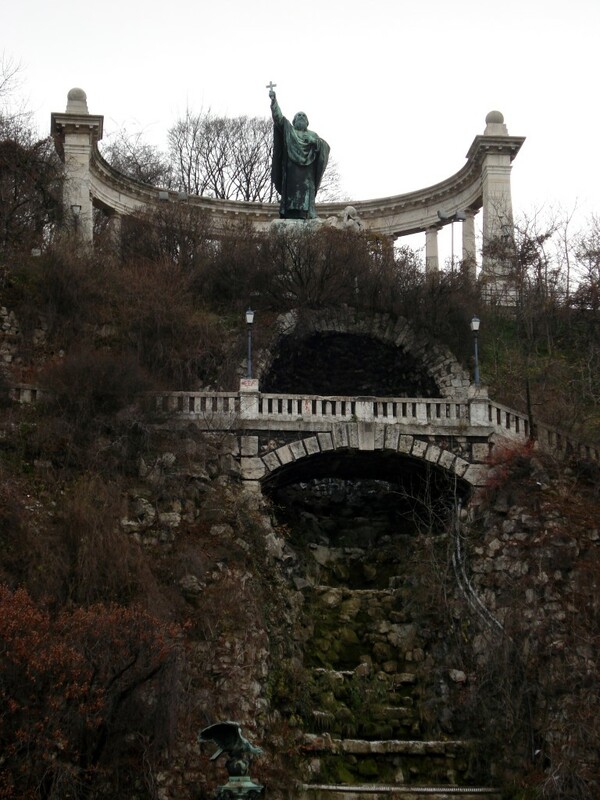 If you walk down the hill from the Citadel towards Erzsebet Hid (Elizabeth Bridge) you will come across this statue of St. Gellert, an eleventh-century martyr. 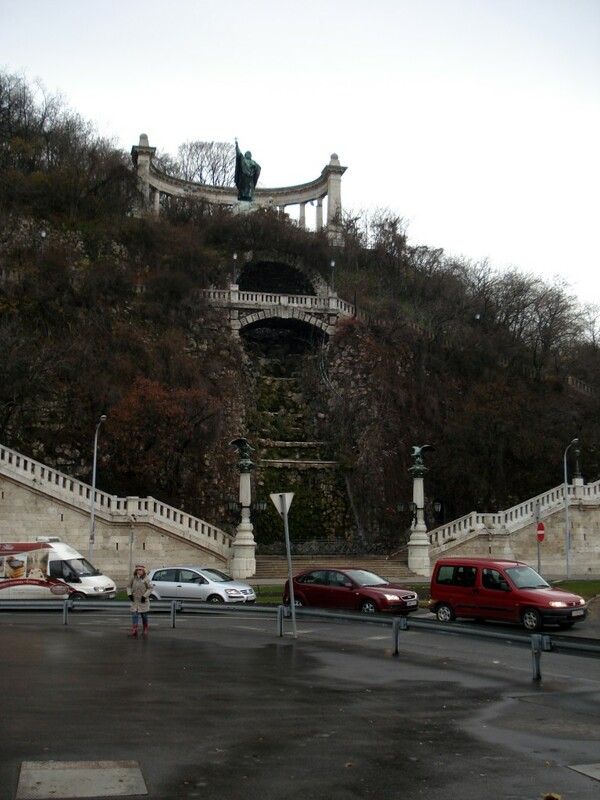 It is located in a pleasant spot with an artificial waterfall. 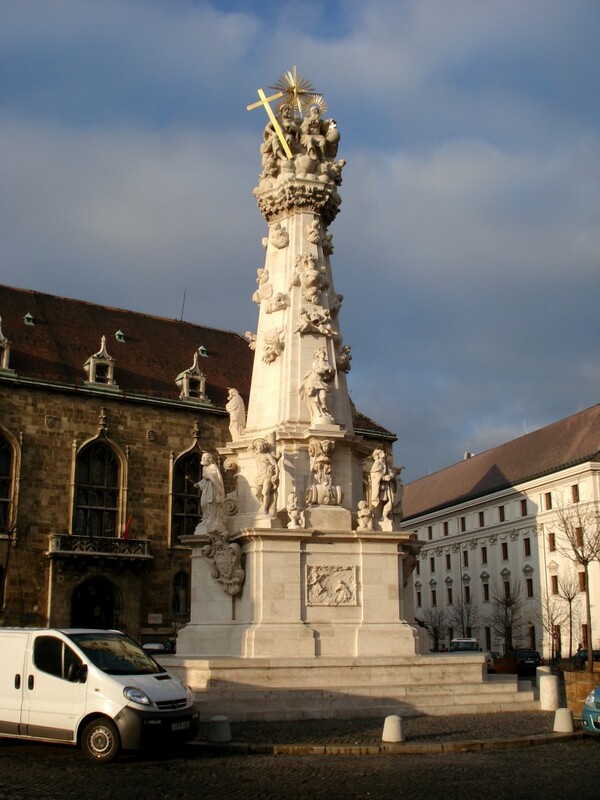 The monument stands some ten meters high and was built in 1904. 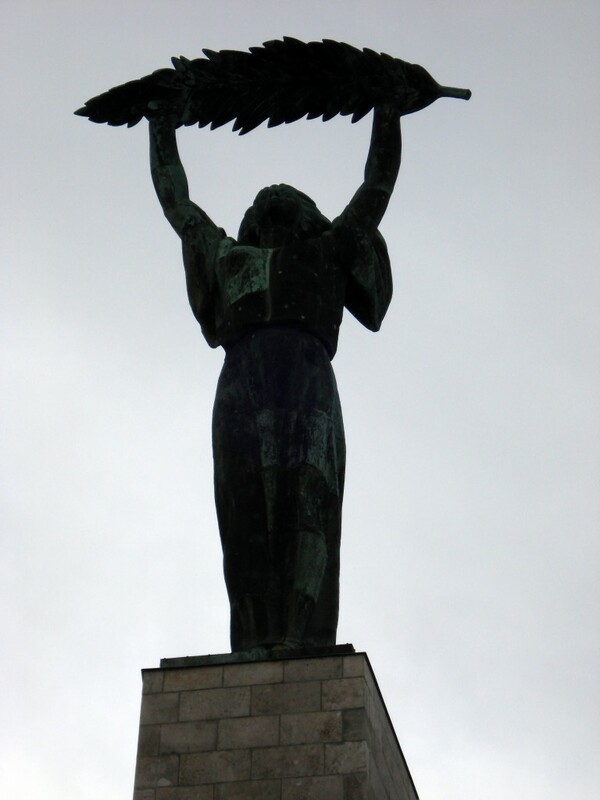 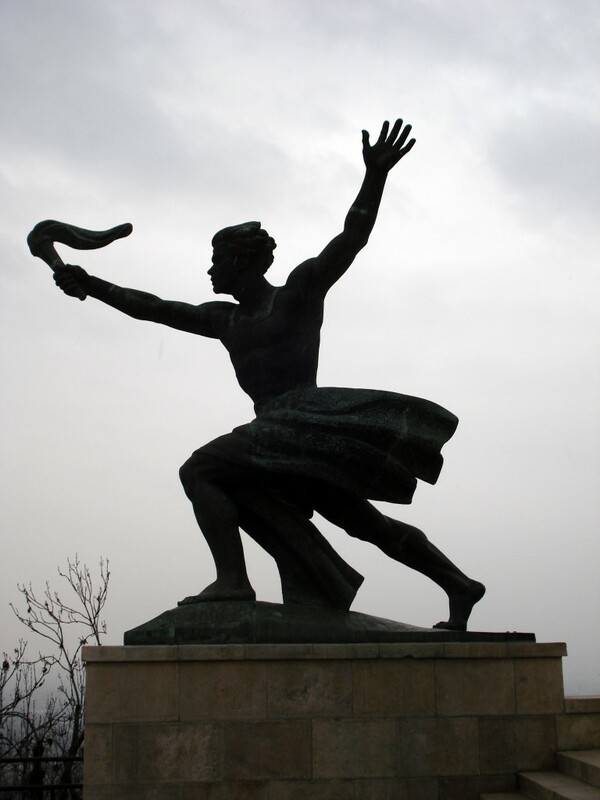 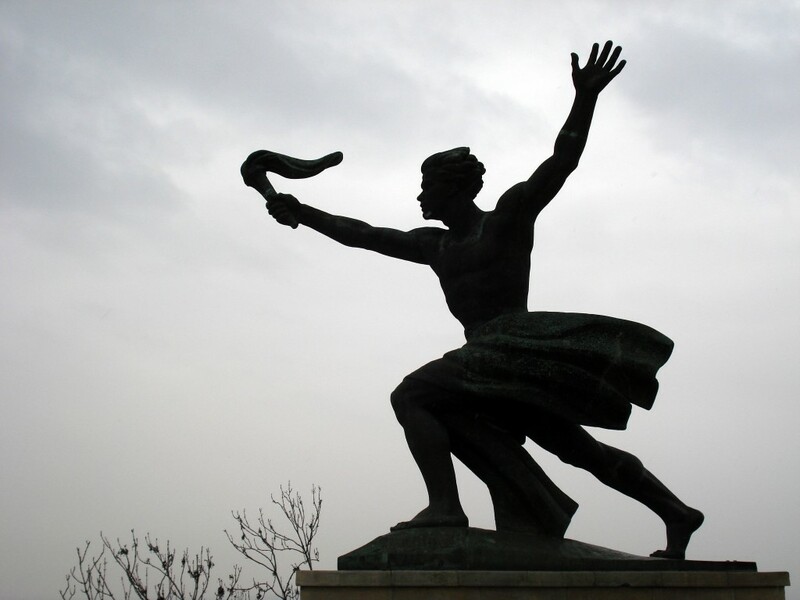 The Liberation Monument (Szabadság Szobor), which is a 14m-high female figure holding the palm of victory, stands at the top of Gellért Hill. 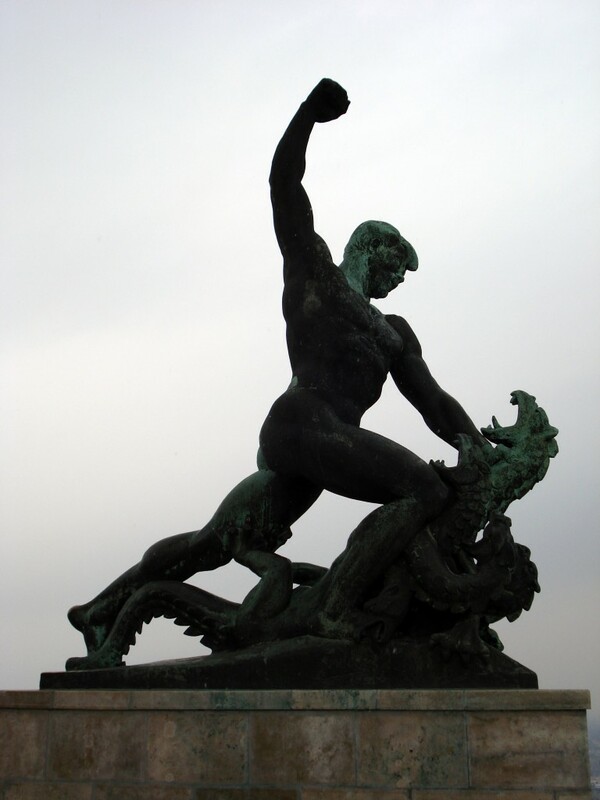 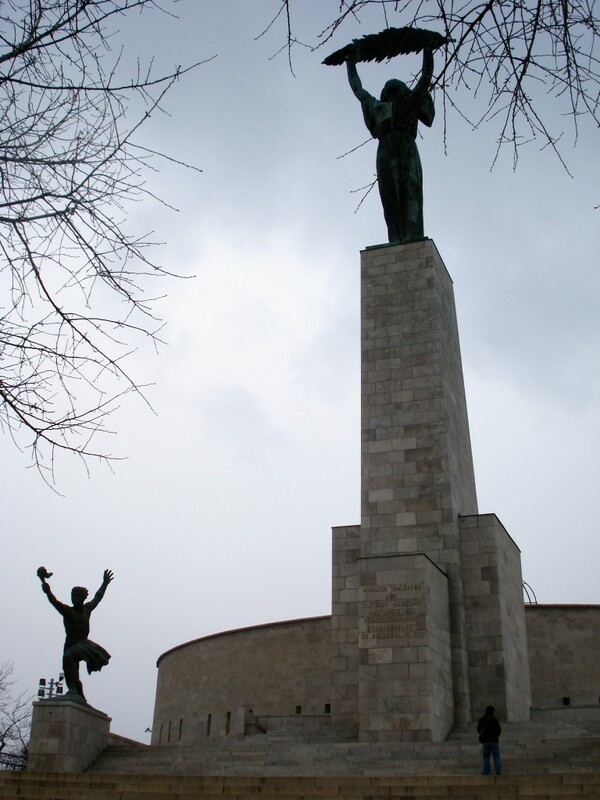 It was erected in 1947 to mark the liberation of the capital from the Germans in 1945 by Soviet troops. 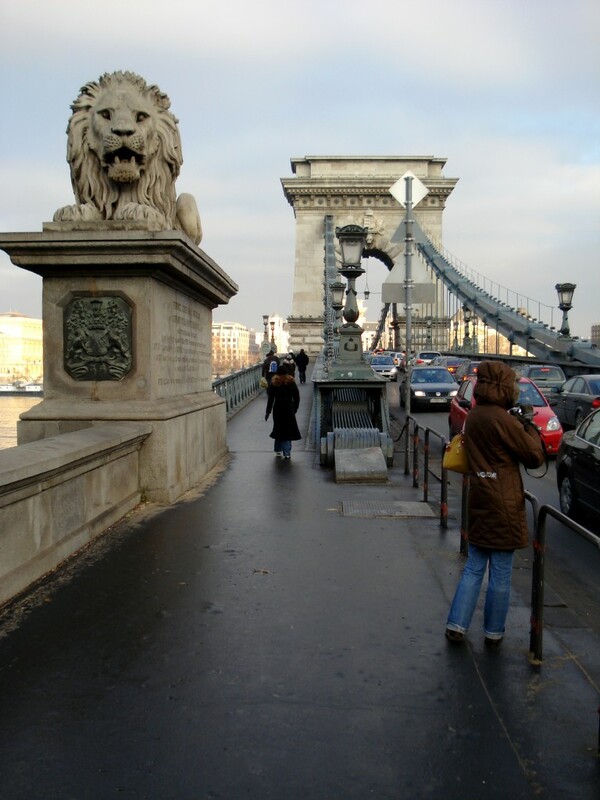 Széchenyi lánchíd or Széchenyi Chain Bridge is a suspension bridge that spans the River Danube between Buda and Pest, the western and eastern sides of Budapest, the capital of Hungary. 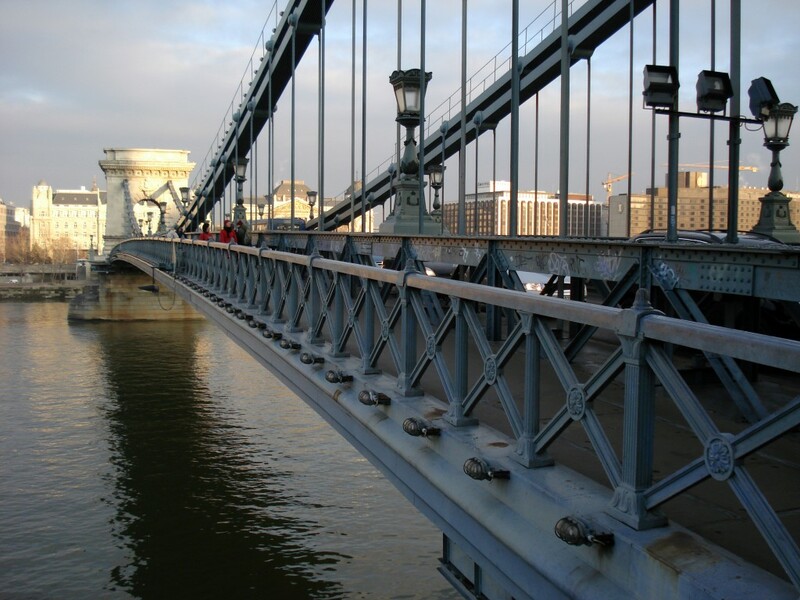 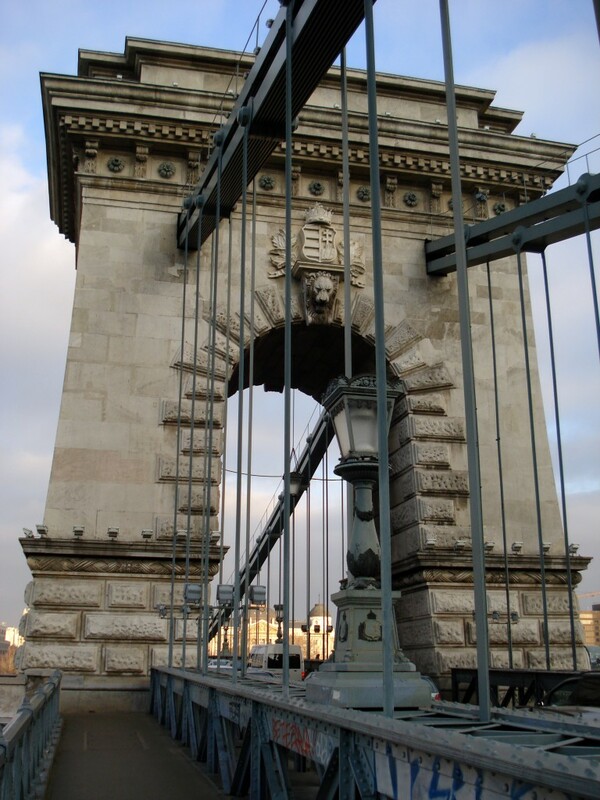 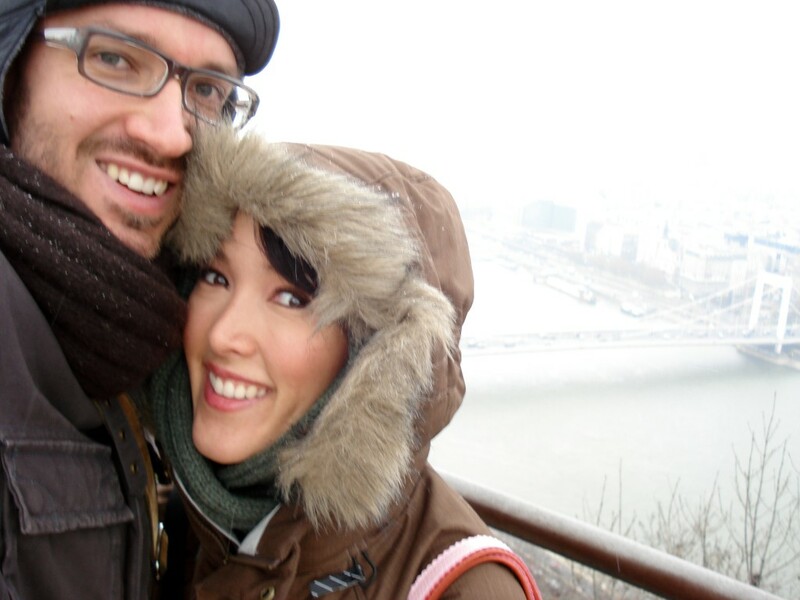 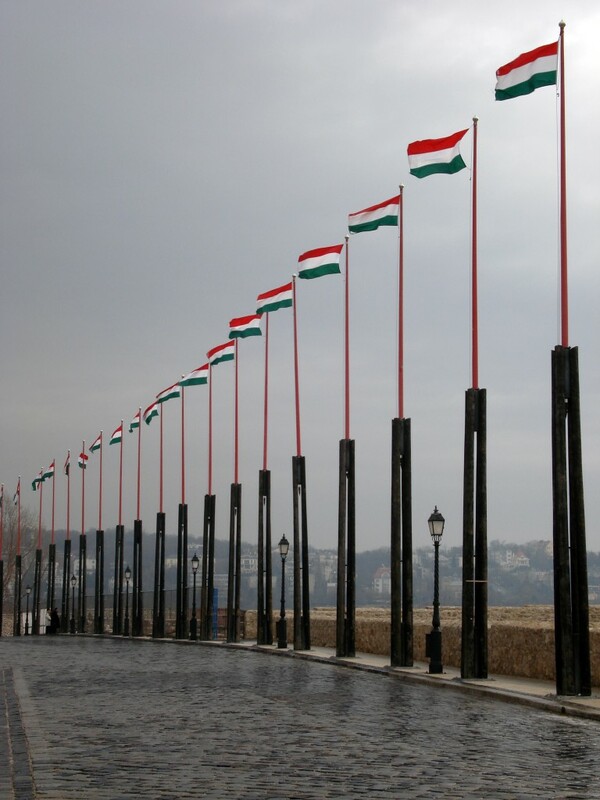 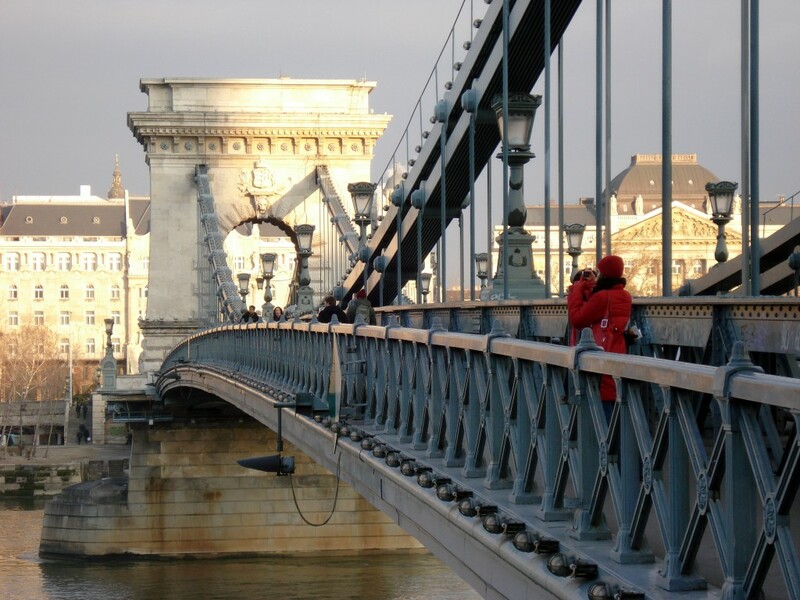 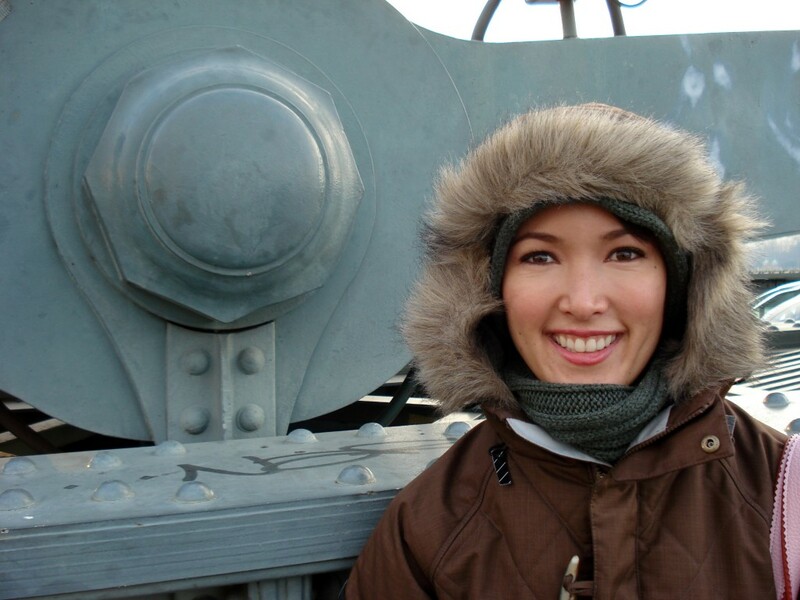 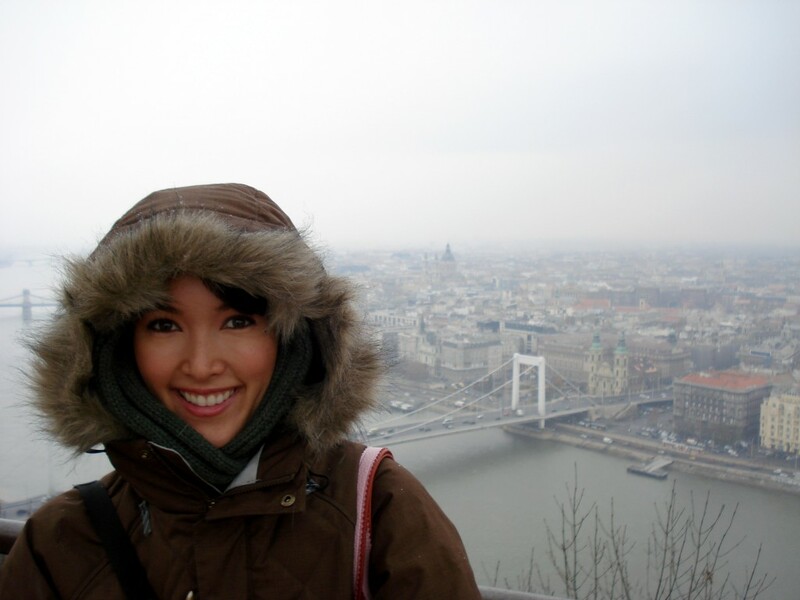 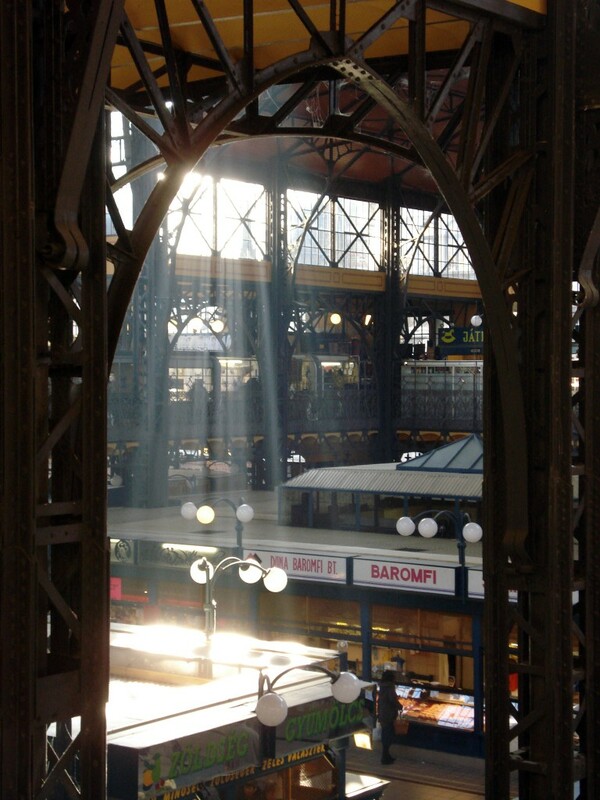 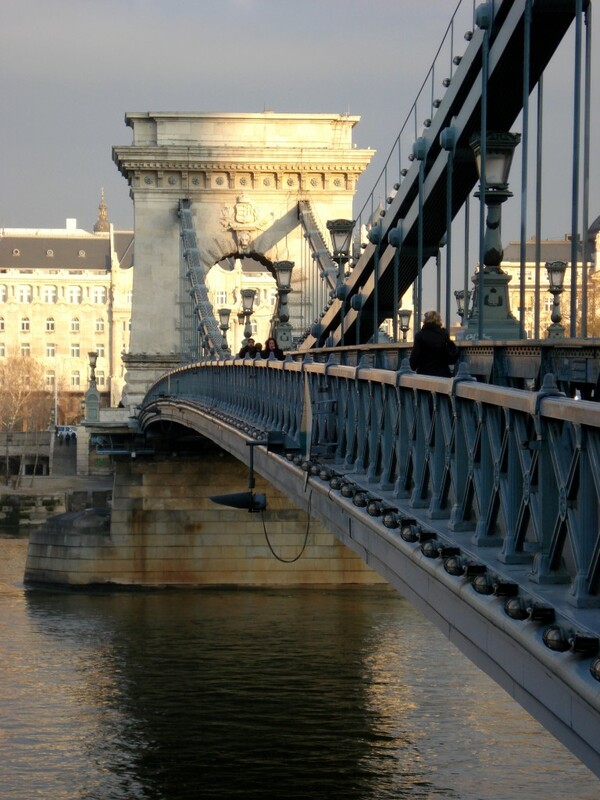 It was the first permanent bridge across the Danube in Budapest, and was opened in 1849. 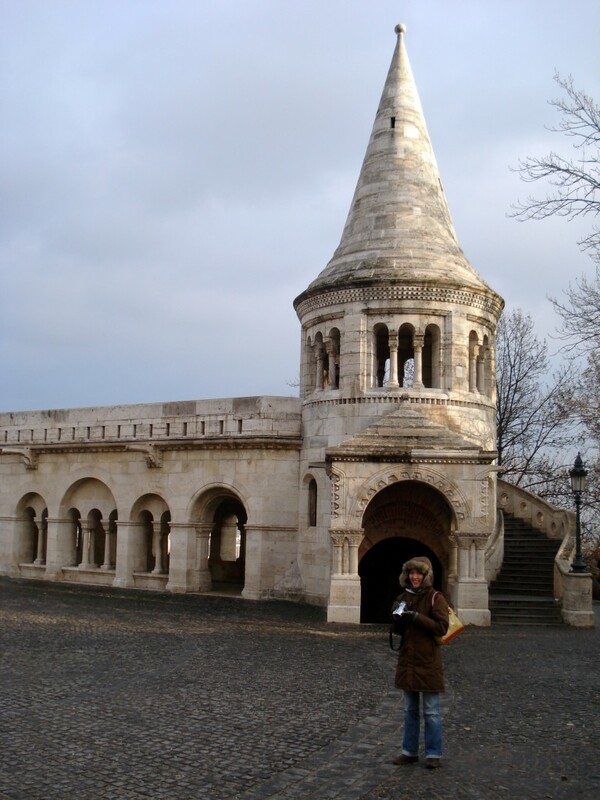 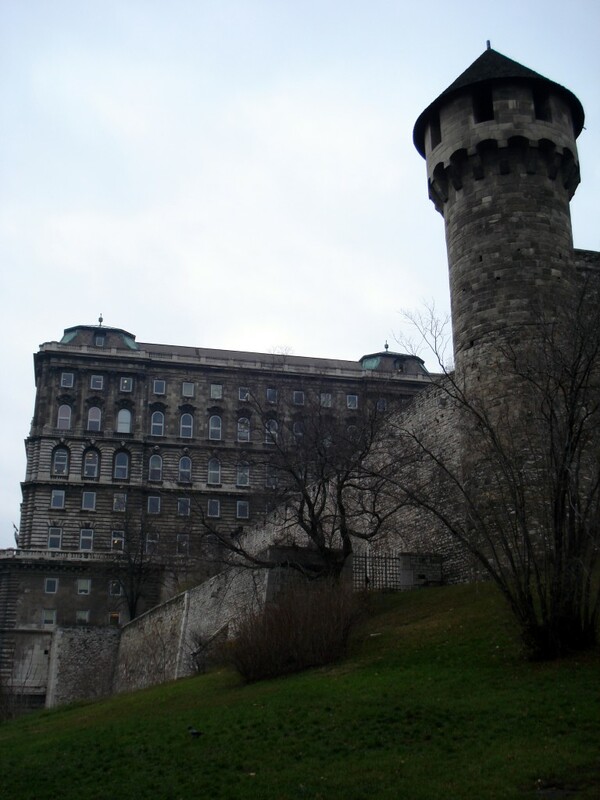 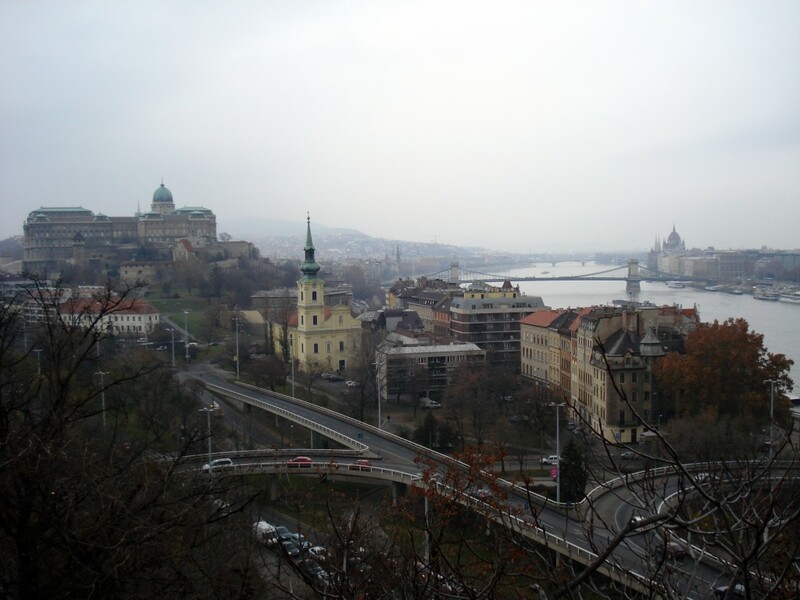 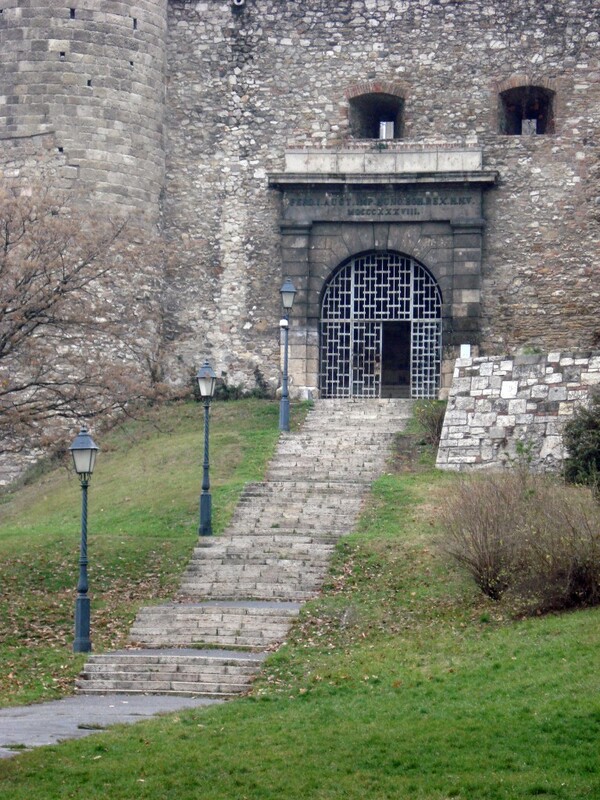 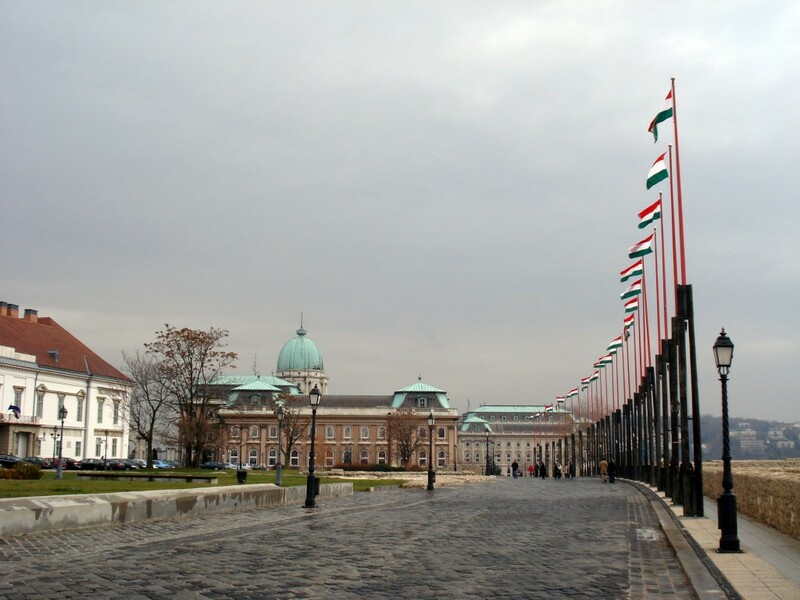 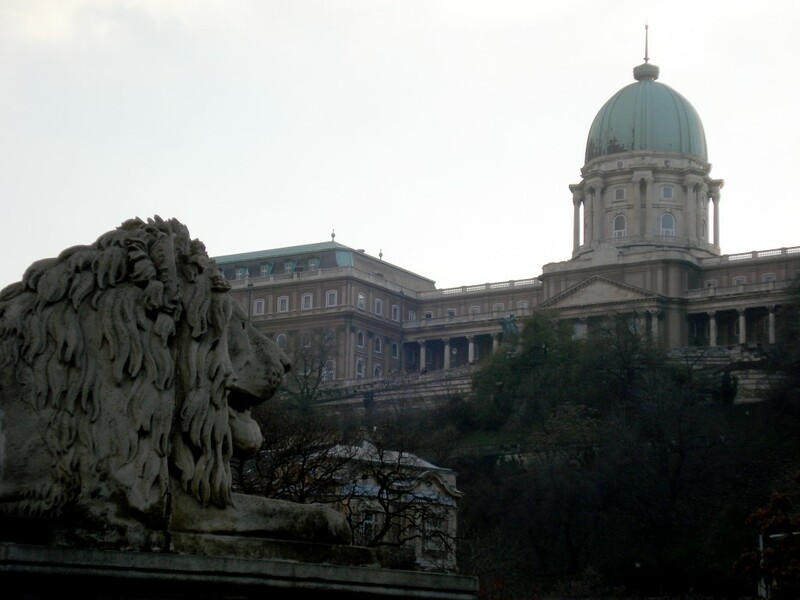 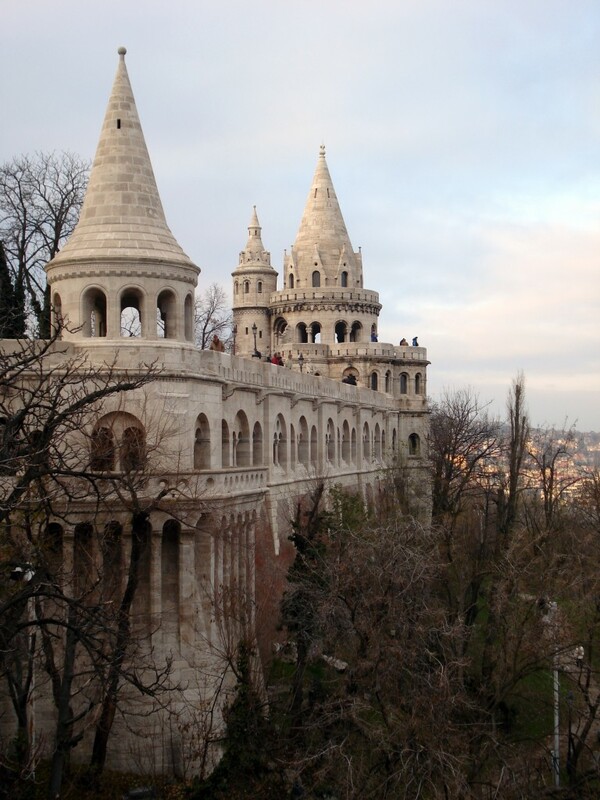 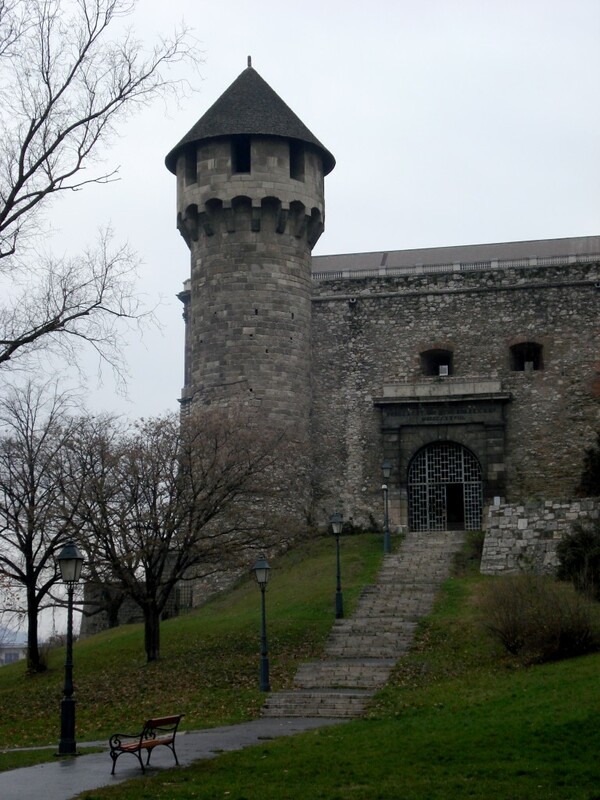 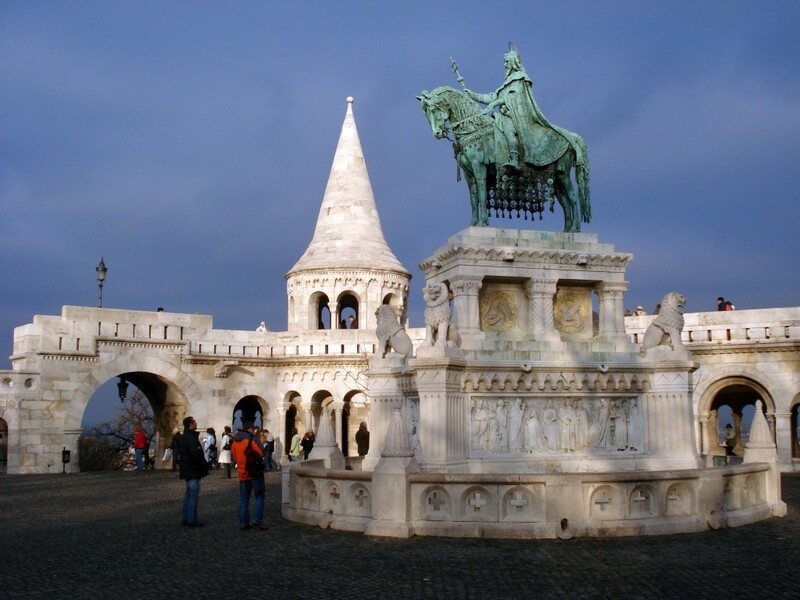 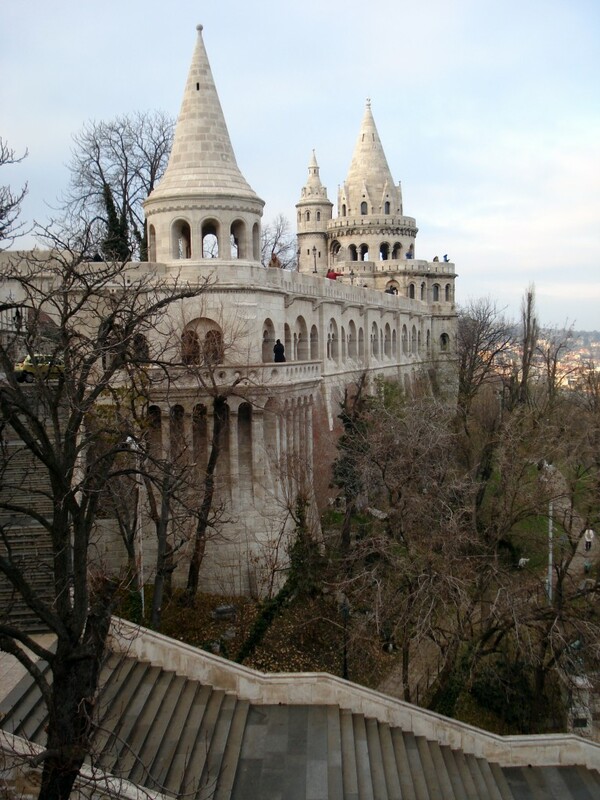 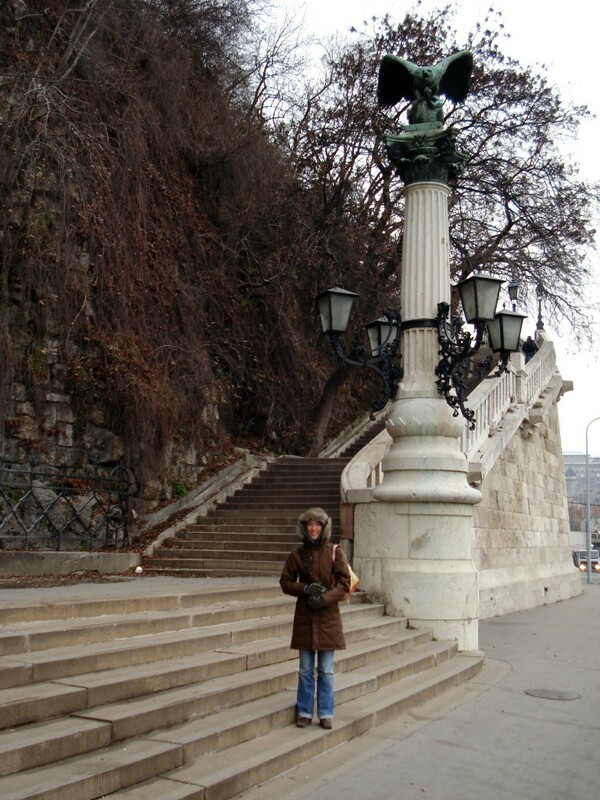 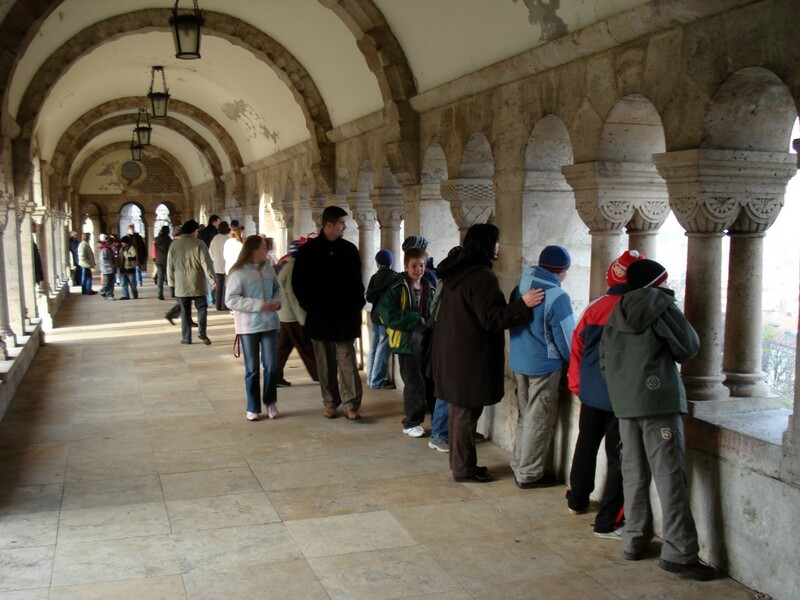 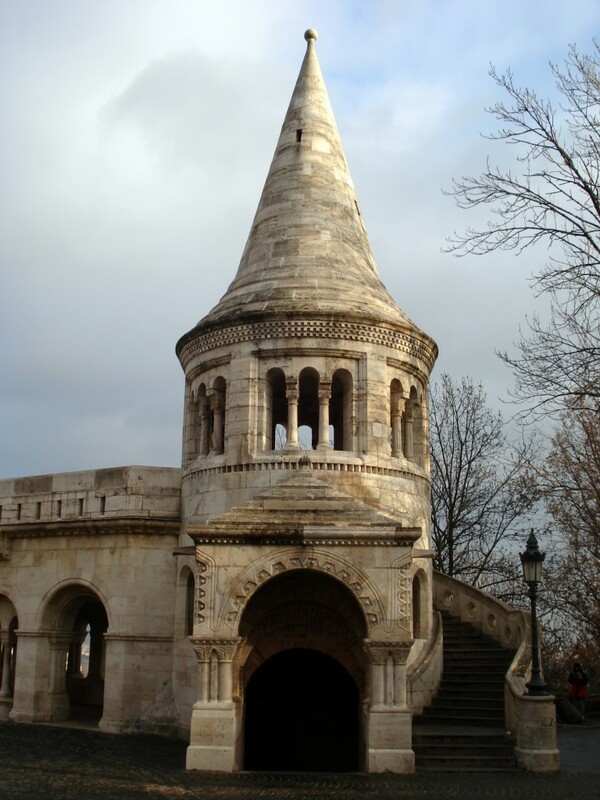 Buda Castle (Hungarian “Budai Vár”) is the historical castle of the Hungarian kings in Budapest, Hungary. 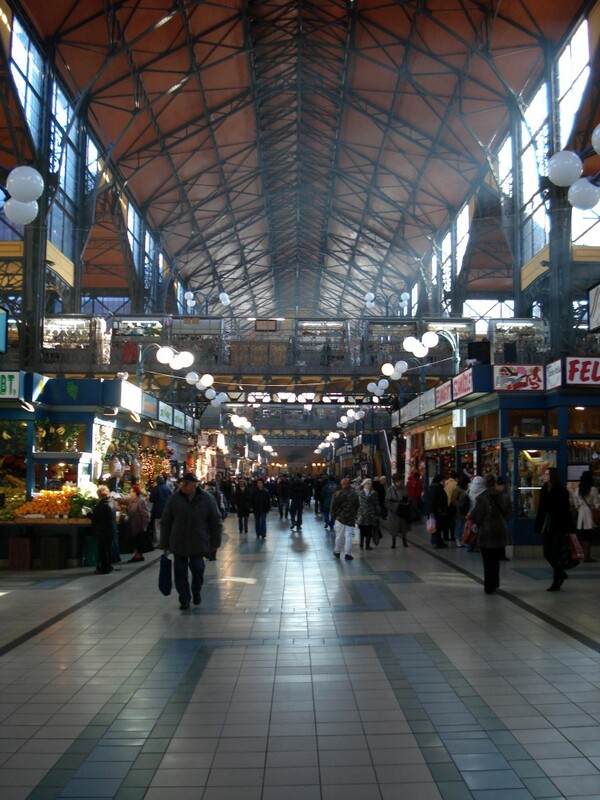 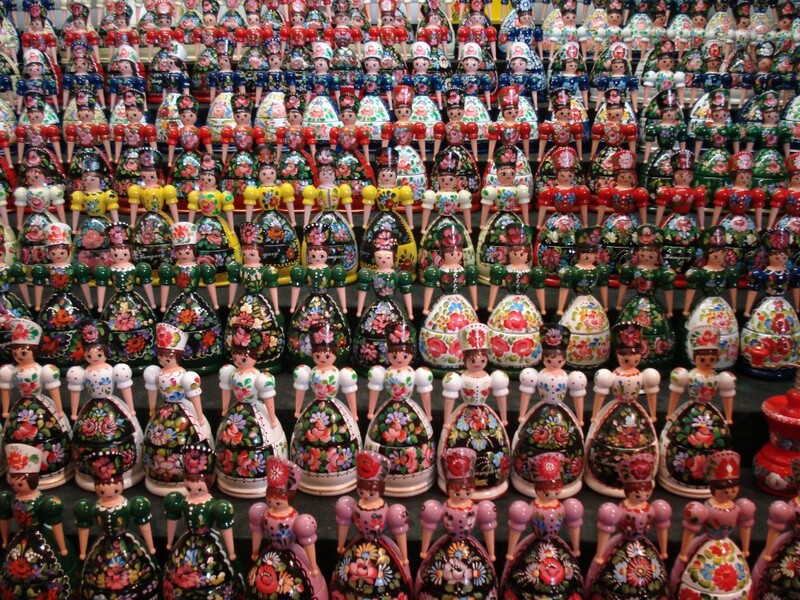 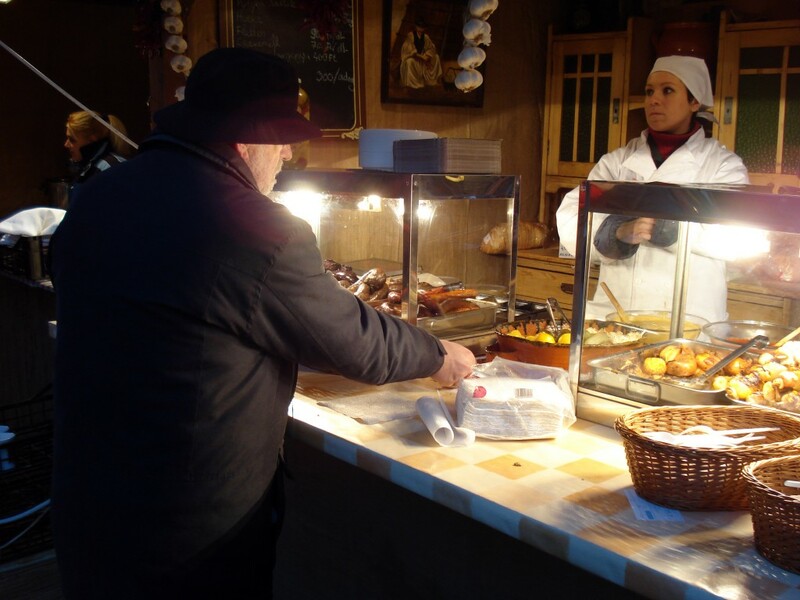 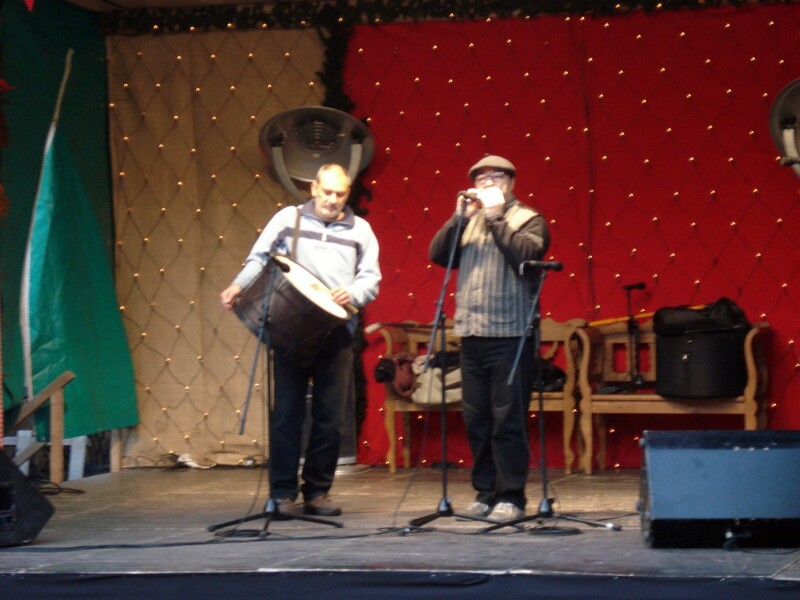 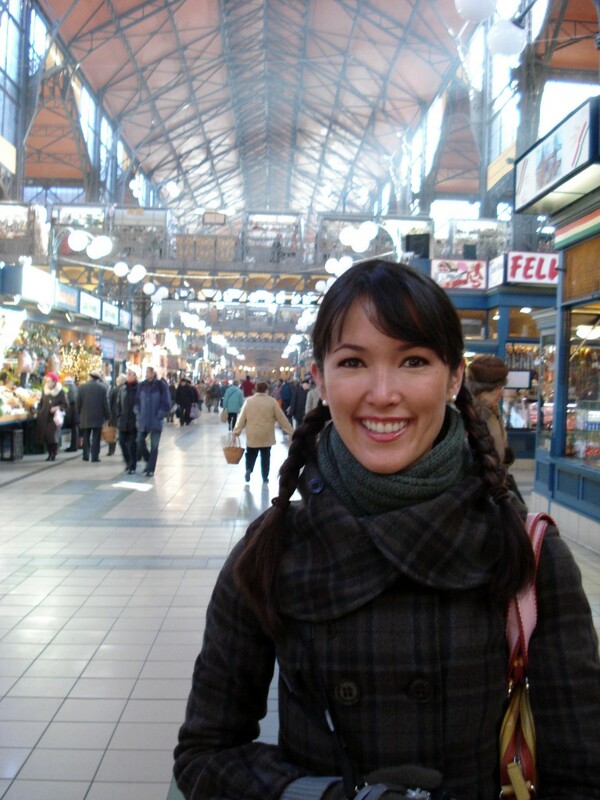 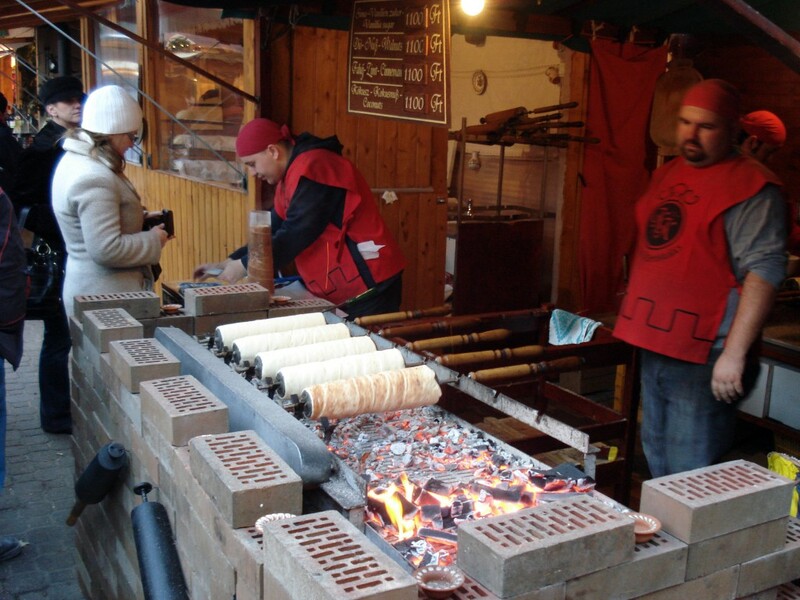 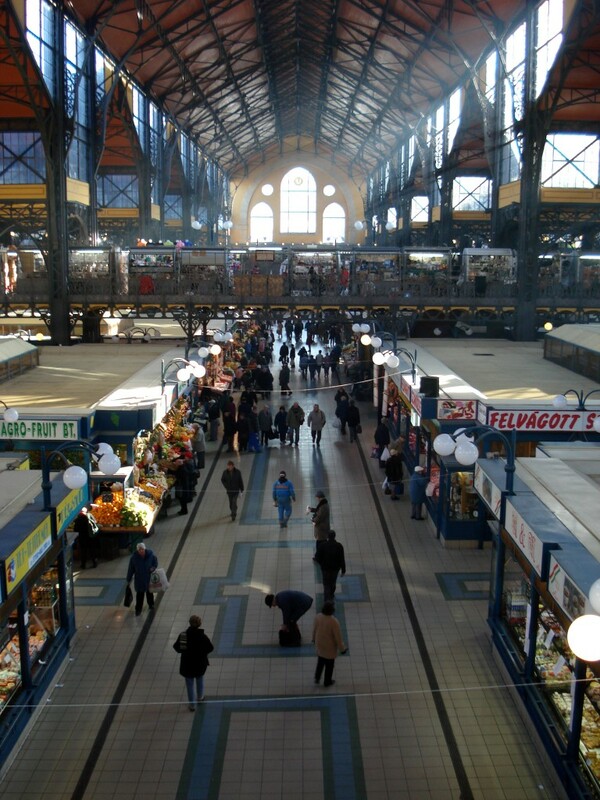 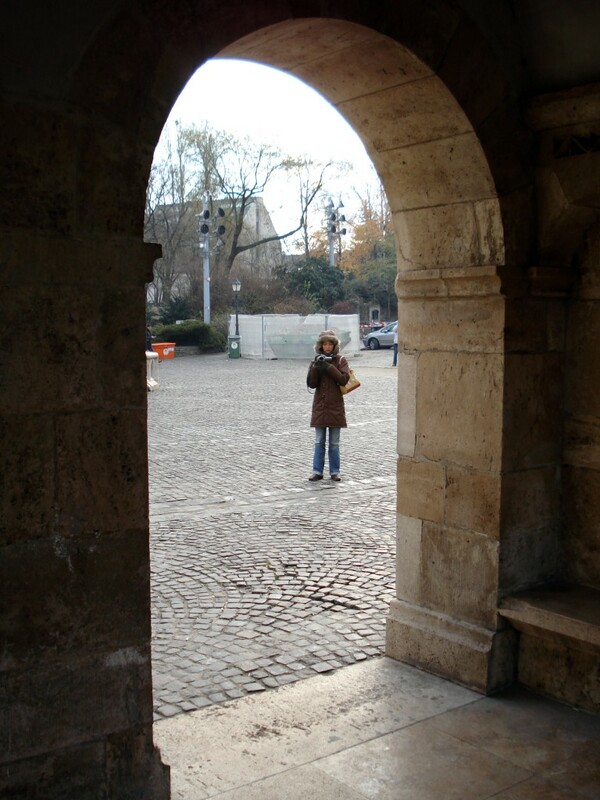 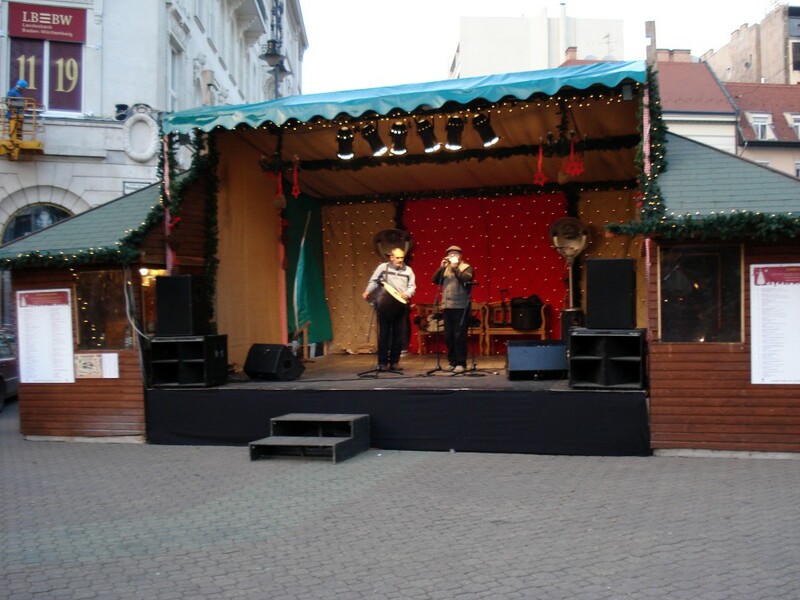 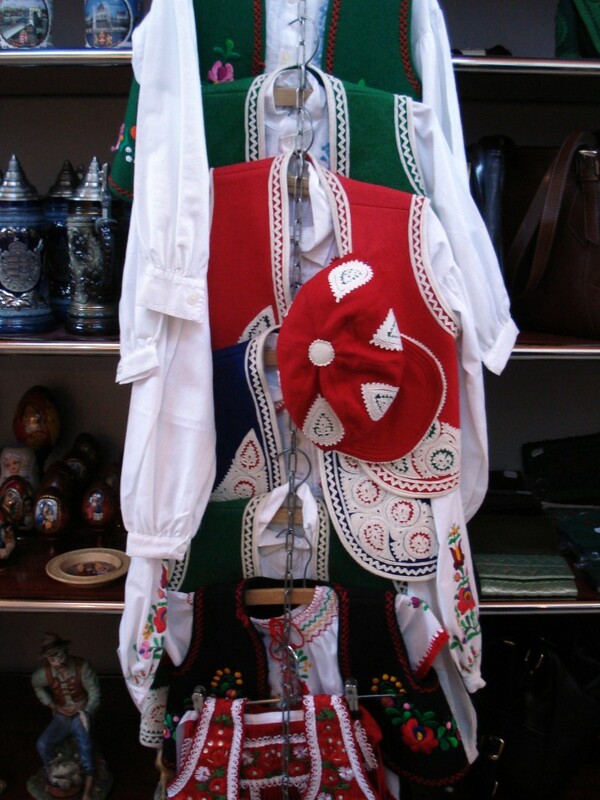 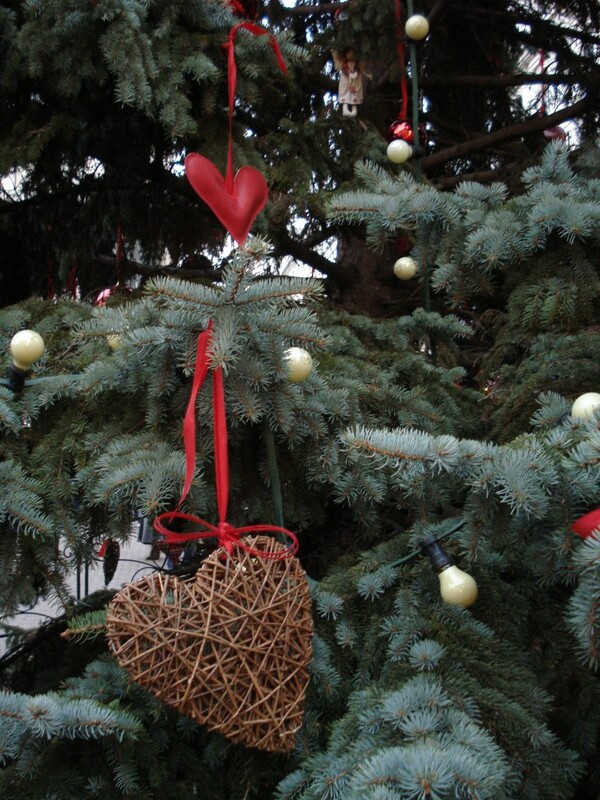 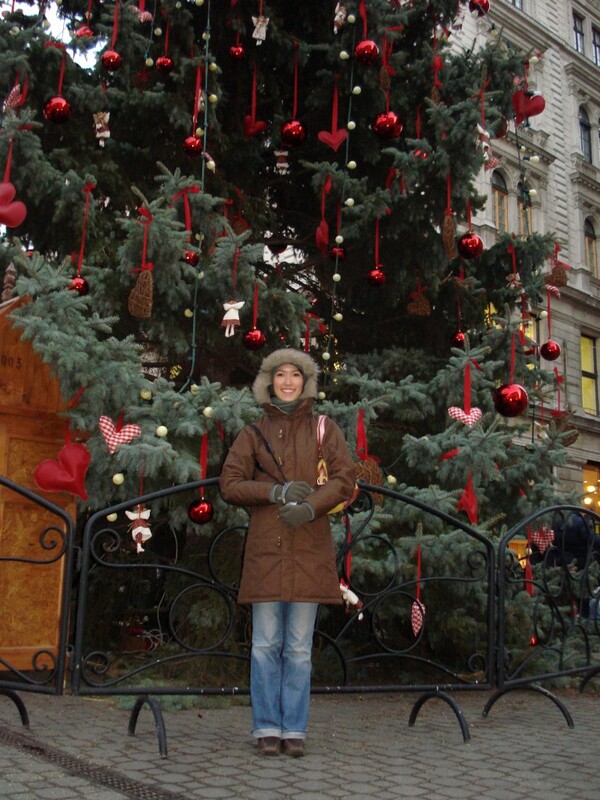 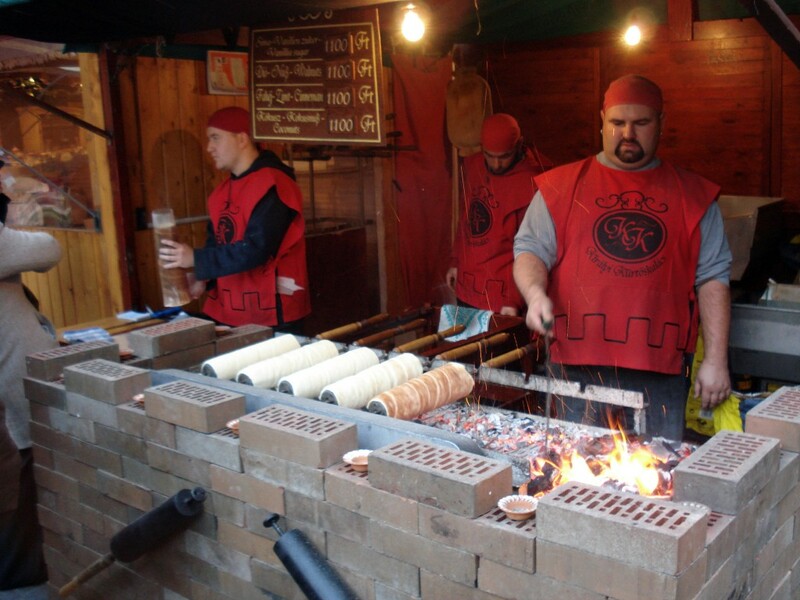 Photos of a Christmas market that was setup in one of the town squares in Budapest. 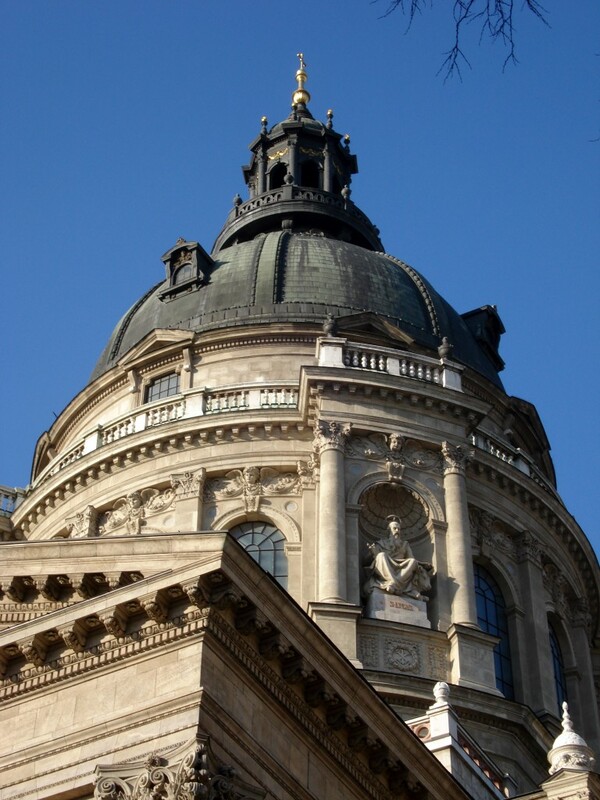 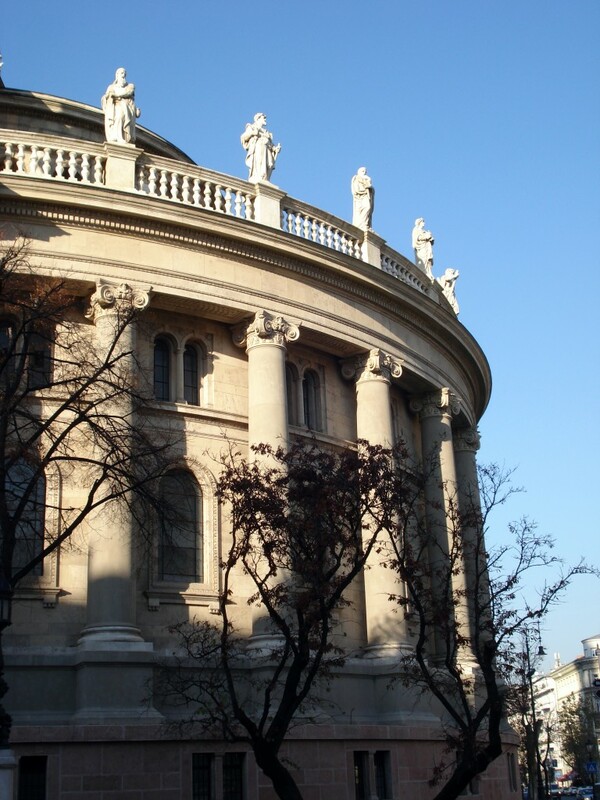 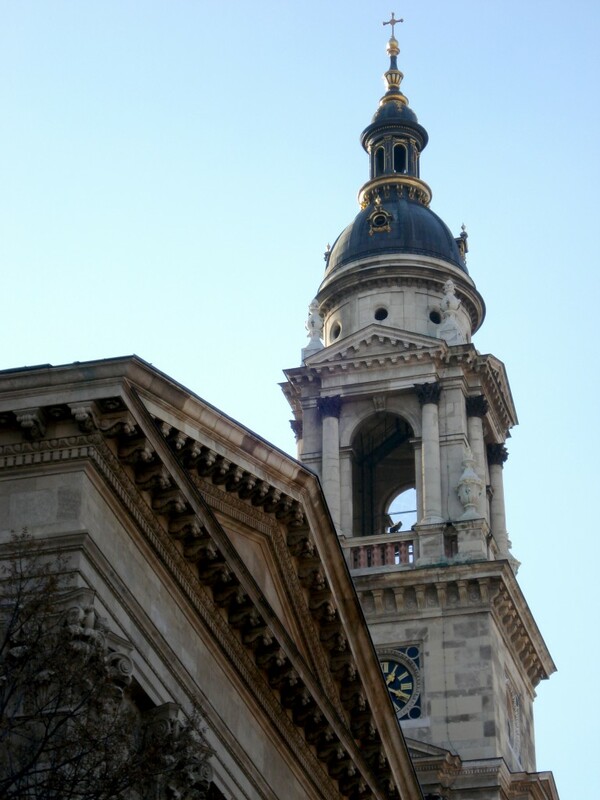 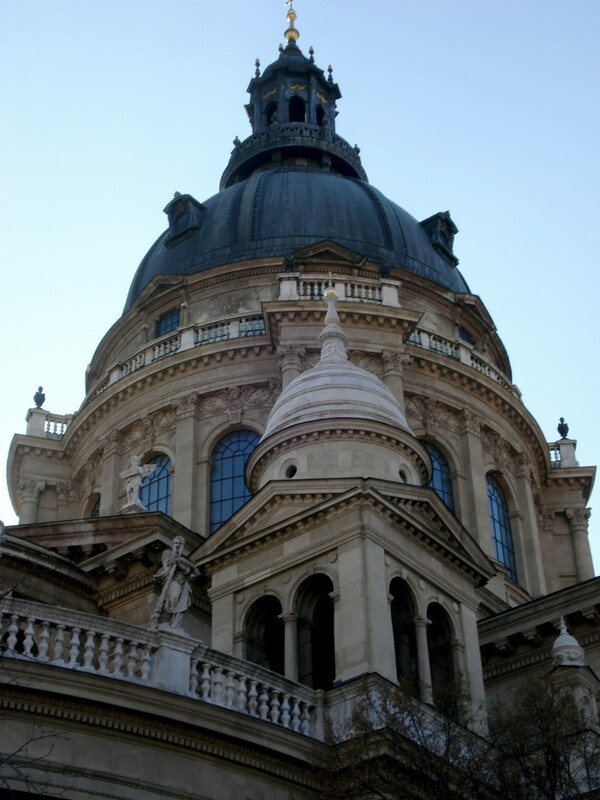 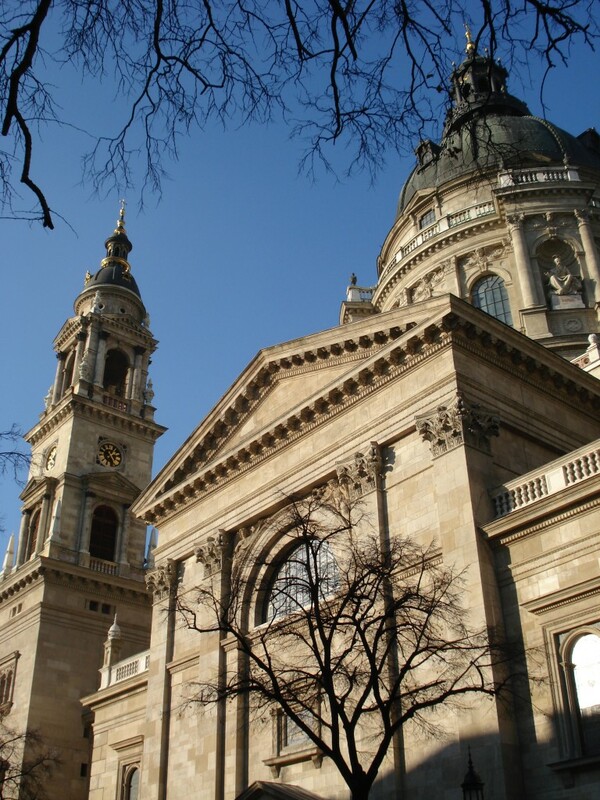 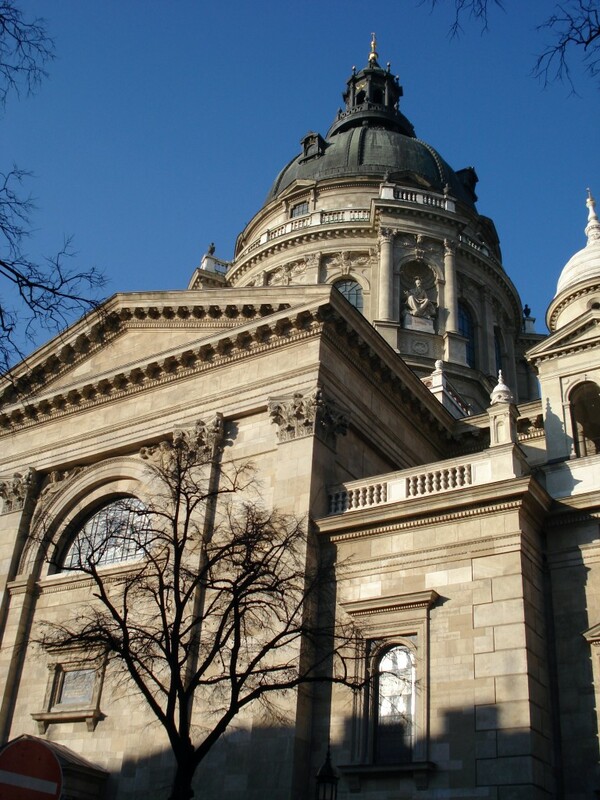 St Stephen’s Basilica (Hungarian “Szent István-bazilika”) is an ecclesiastic basilica in Budapest, Hungary. 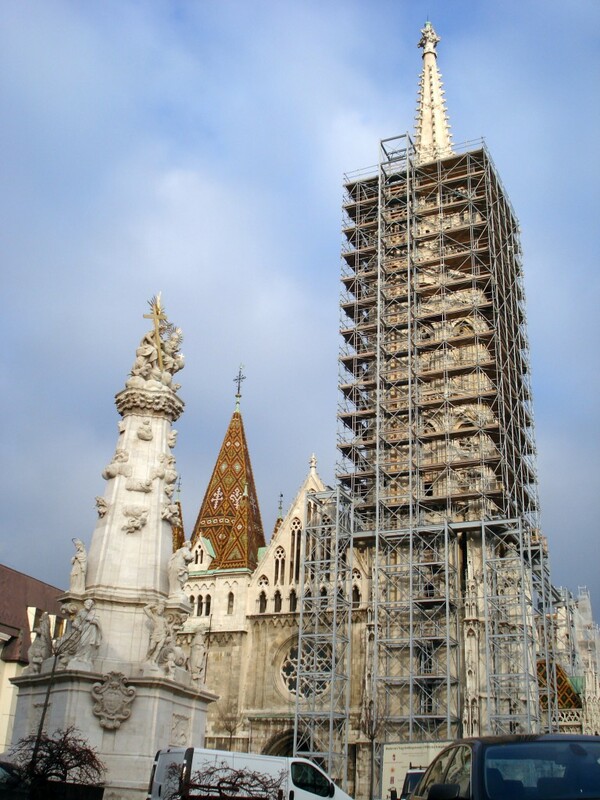 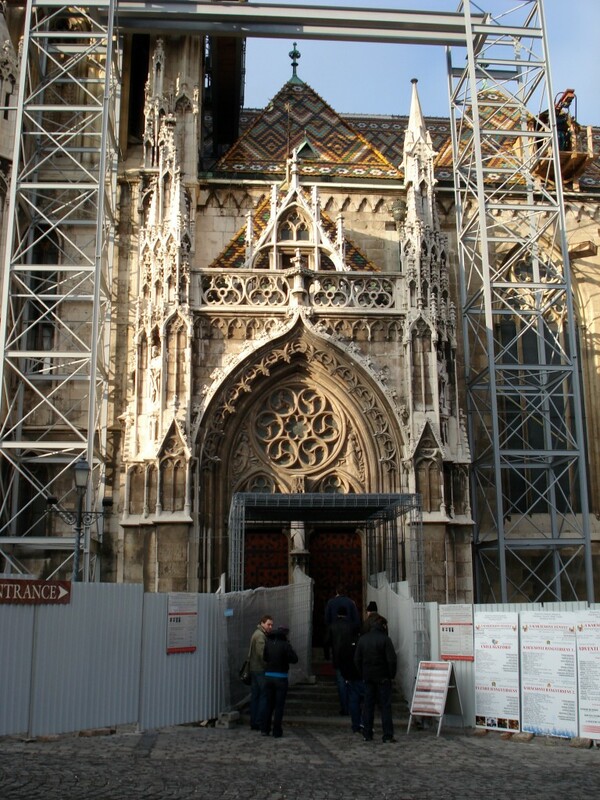 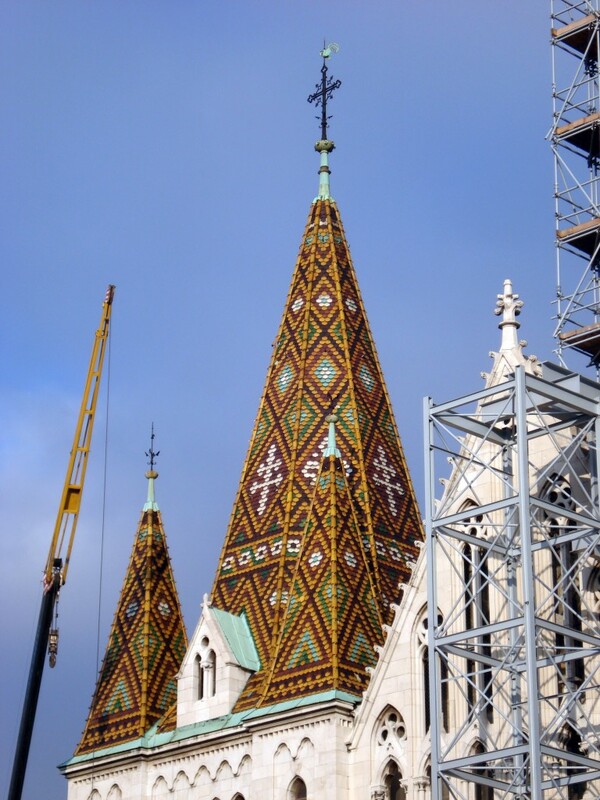 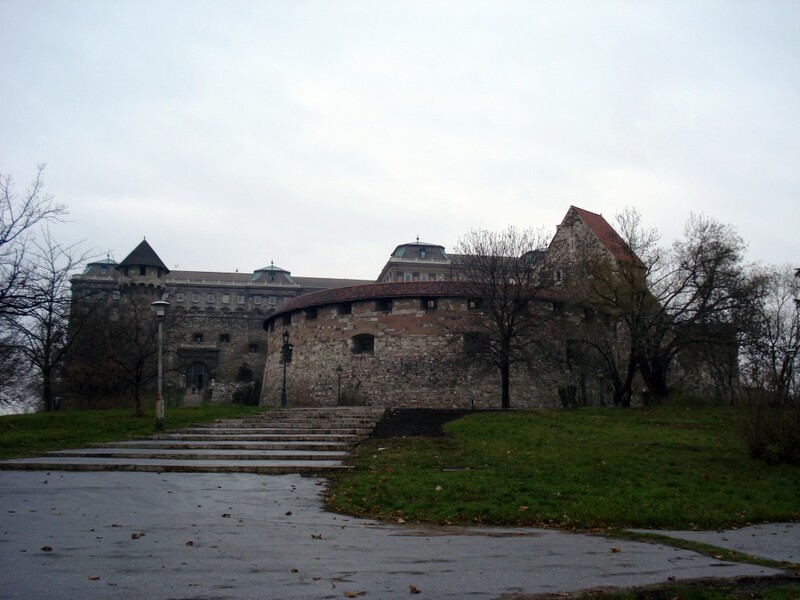 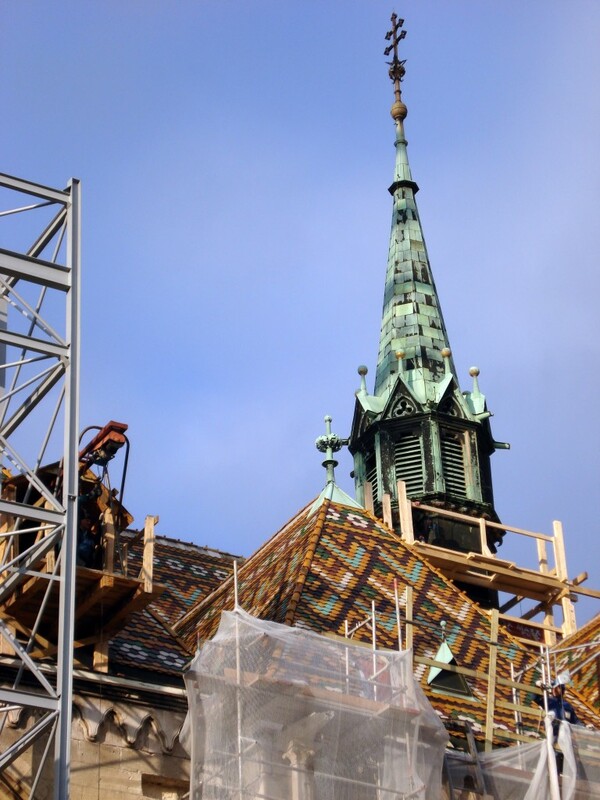 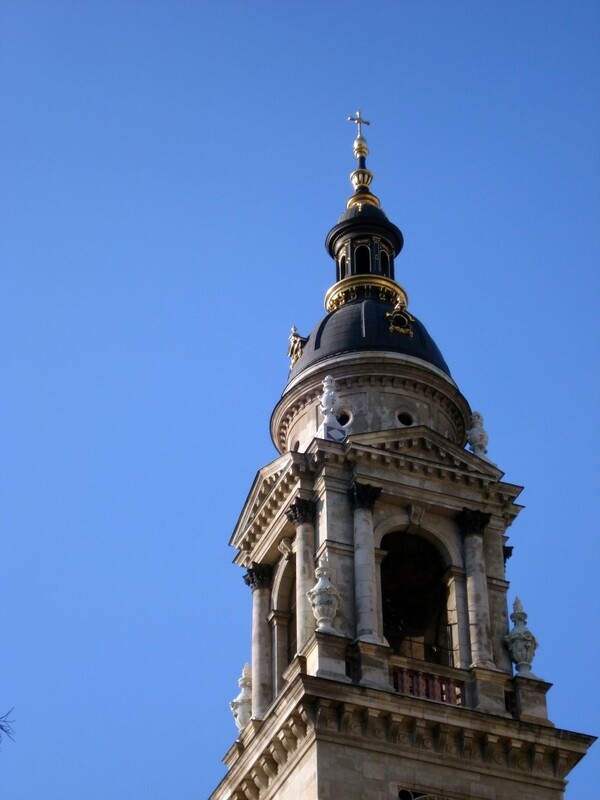 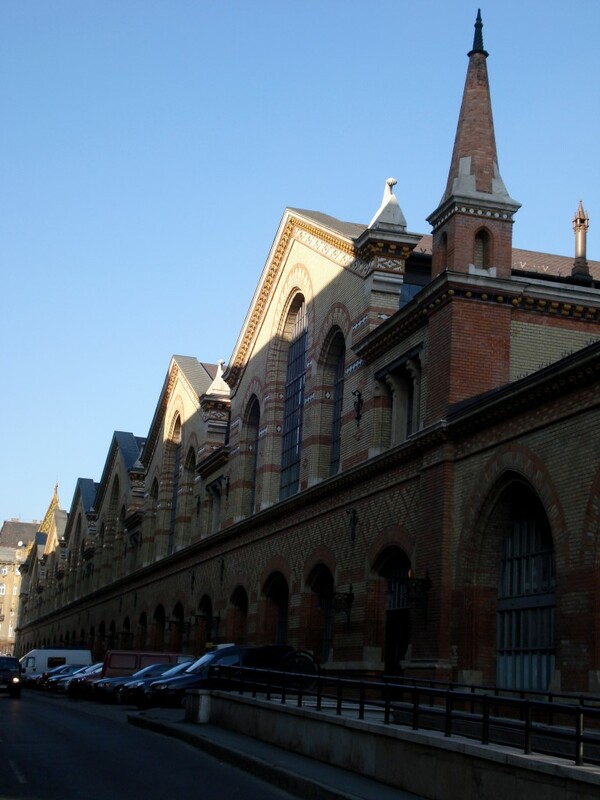 It is named in honor of Stephen, the first King of Hungary (c. 975–1038), whose mummified fist is housed in the reliquary.